we're all about fun but mostly we're all about YOU! This is a great way to add that extra touch to your photo family display. It is the LOVE STRUCK COLLECTION and it is perfect for documenting photos of the ones you love. With MemoryMixer scrapbook software from Lasting Impressions, you can turn your digital memories into a multimedia memory experience. Let your imagination run wild as you choose how you want to create each or your digital MemoryMixer scrapbook albums. We R Memory Keepers Product Scoop SHOUT OUT! wanted to share with you all. the my Product Scoop projects here-check them out! Scrap Happy Sisters has a wide range of We R Memory Keepers products in stock and are always getting more in, so it is wise to keep checking in, they go fast! A few of my projects are on display there, so go take a look and stock up on We R's amazing products! Come join the party !!! 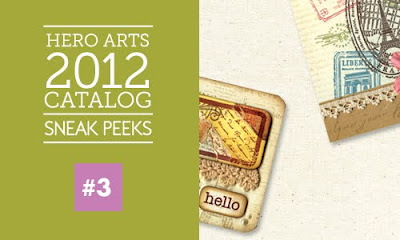 2012 Hero Arts Catalog and stamps! FREE Make-n-takes using the newest stamps! Prizes, Give-a-ways and gift with every purchase ! and pre-orders placed during the preview party. that are on their way. Stop by the store and reserve yours today !!!! 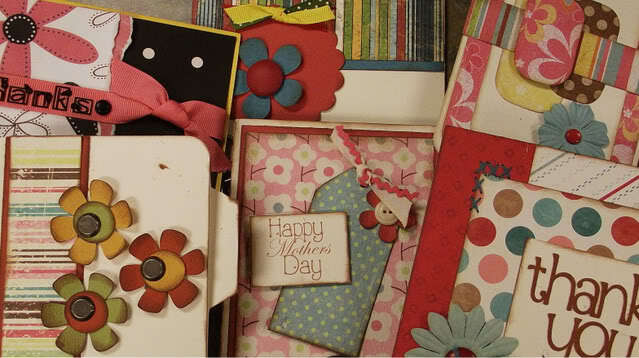 Handmade cards are a great way to show you care to send the very best! Join Carol this Wednesday, October 5th at 6:30 PM and create 6 different cards. Will even include a super cute Halloween card. Tie them up with a pretty bow and you'll have a perfect gift for any occasion.